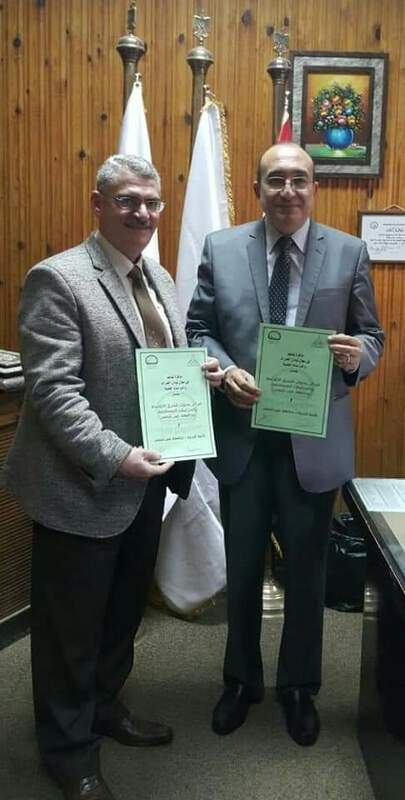 The Research Center for Middle East and Future Studies at Ain Shams University signed a protocol of cooperation with the Faculty of Education in the university in order to enhance relations in the scientific, technical, educational and cultural fields and exchange experiences to benefit from the possibility of both parties and activate activities and scientific links and cultural dialogue. This is the purpose of the protocol, which is the exchange of information, references, publications and periodicals allowed in subjects of mutual interest. Dr. Ashraf Moanes added that the center will organize lectures, seminars, conferences, and workshops on issues of mutual interest between the two parties. The director of the center said that the cooperation will be through research and cultural projects, as well as for discussion of scientific thesis (Master / PhD). He also stressed the scientific and cultural communication in all fields and the dissemination of awareness among students, the target group, which is one of the objectives of the Center.